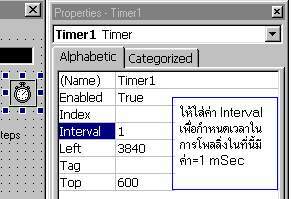 Picture 4 : Setting interval value of timer in polling to Comm port .
' Send Character "F"and value for defind step quantity in seeking to home position.
' 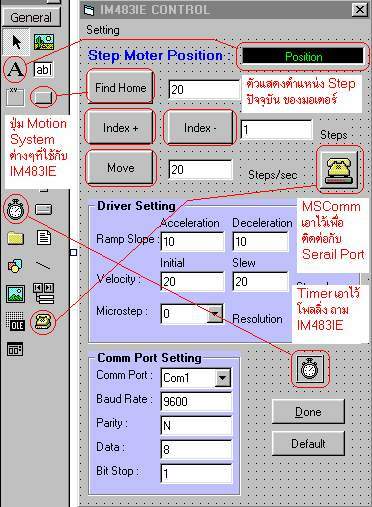 Message box caution to set all parameter before running program. 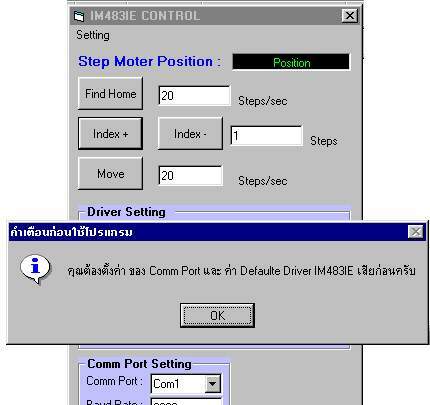 MsgBox " You must setting value for Comm Port and Defaulte Driver IM483IE before running program", vbInformation, " Before running program caution"
So,We should be method programming in intercept the garbage which can get only Charecter,Function below can help you in this thing . 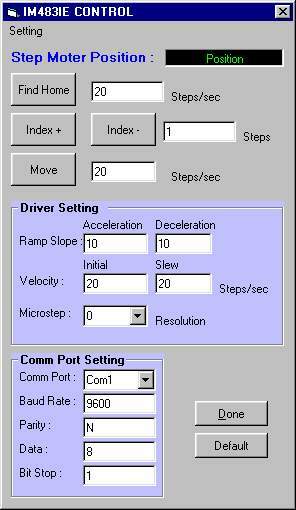 Picture 5 : When you run program which show caution box in setting value for Interface Hardware before you continue. 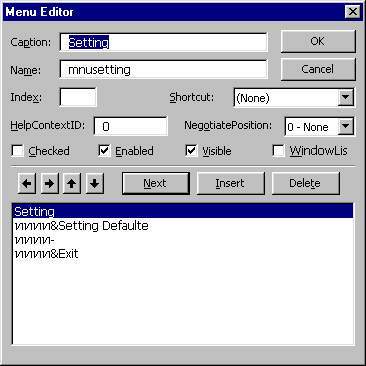 Picture 7 : When you pressed "Done" button the program will be show dialog form thus picture above but if you want to set the new value that you can click menu bar above after that select" Setting Defaulte"